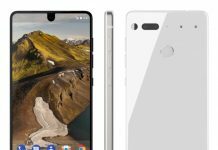 There was a lot of fanfare when Essential Phone PH-1 was announced. After all, it is the first phone by the creator of Android Andy Rubin. The phone is really good from a lot of point of views, but a complete waste from some other angels. Essential Phone PH-1 is an essential smartphone for real. It is also great from a technical point of view, and has a sleek look and a great design quality. It is only available in America right now. 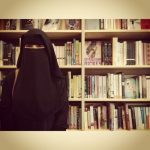 You can try ordering it from Amazon or its official website for international shipping. The full display is really compact. 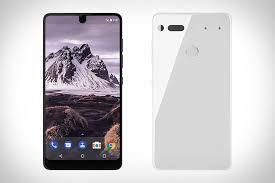 The Essential phone fascinated many when it was first announced. There is a 9V-3A quick-charging charger in the box. 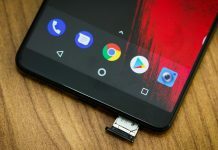 It is with an American socket, a 3.5mm Type C / Jack adapter for headphones, which is a must-have as the Essential Phone PH-1 is not equipped with 3.5 mm audio input, and a fabric-reinforced USB-Type C cable. The hardware and connectivity of Essential Phone PH-1 is great. The chip is Qualcomm Snapdragon 835, a top-of-the-range processor, accompanied by the Adreno 540 GPU and 4 GB of lpDDR4 RAM. Internal UFS 2.1 memory is not expandable and is provided in a single 128 GB cut. It also completes the sensor where only one infrared port is missing, which would further embellish the compartment formed by: gyroscope, magnetometer, accelerometer, brightness, proximity, and barometer.The C-type USB port with OTG support guarantees good connectivity. There is also CAT 16 data LTE up to Gbps, WiFi ac and Bluetooth 5.0. There is also the GPS and NFC chip, but the FM radio is missing. Essential Phone PH-1 is an impeccable phone, that supports all of the global frequency bands and it has a good reception. The sound quality is very good, and confined between the top edge and the front glass. This is an unparalleled and very technical solution. There is no problem with the hands-free. The volume is pretty high from the speaker system that can be found on the lower edge. Bluetooth, WiFi and GPS work smoothly. They are industry-optimized, just like the phone. Now lets talk about the performance of the Essential Phone PH-1. It doesn’t rotate very well. The touch is not very responsive. The phone also hangs sometimes. Since the hardware is pretty good, it is safe to assume that these problems have occurred because of a software flaw. This is a bit surprising, considering the fact that this phone is from Andy Rubin. However, the phone works fine most of the time. But the good performance doesn’t last all the time, and everything seems to block sometimes. This can be frustrating. FOr instance, when you launch Real Racing, some important processed are closed by the system which result in repetitive error messages. The problem is resolved only after you restart the application. The booting is pretty slow. This is strange because with such a good hardware package this shouldn’t really be happening. Browsing the web on Chrome, which is the default browser. The touch screen can get lazy sometimes. 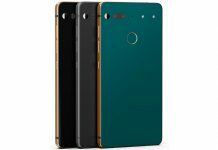 The Essential Phone PH-1 is modular too. There are two magnetic pins on the back cover to which you can connect the expansion modules. Right now, you will have to do with a 4K cooled cam with a cool internal fan. It has many problems and is practically useless right now. The quality of pictures is poor but that might be because of software gaps as the phone often hangs and sometimes the pictures are not saved. Maybe this problem will be resolved with a software update. 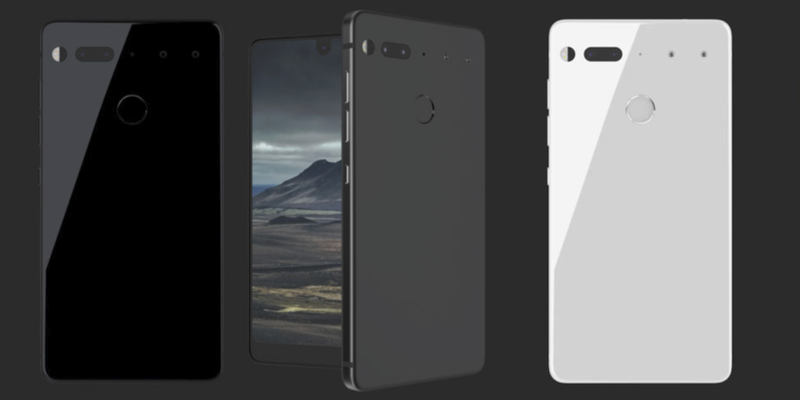 The design quality and design of the Essential Phone PH-1 are some of the ever seen on a smartphone. The measurements are 141.5 x 71.1 x 7.8 mm, the screen is 5.7-inch, there is a dual photographic sensor, and the only problem is the absence of the audio jack. The back of the phone is ceramic, and the frame is titanium. The screen is safeguarded by a Gorilla Glass 5 glass. The design of the phone is minimal, and reminds you of a small ingot. The polished finish also looks extremely elegant and gives the phone a refined look. Unfortunately, the phone is so hard to hold. There is no grip. If you grab it using a hand, the friction provided by antennas might help you. The antennas are arranged all over the board with a functional and nice solution.The lack of impermeability is a real let down. It is really bad as it could have been the icing on the cake. 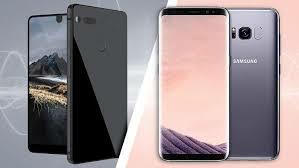 The 5.7-inch display of the phone has a QHD resolution of 19:10, which os slightly less elongated than the 18: 9 aspect shown during 2017. It is not an AMOLED, but an LCD LTPS, that has a good quality but not so impressive. The main defect here is an insufficient back lighting outdoors. The rest brings along with it most of the LCD limits. The black depths can be seen when the device is inclined. The multimedia section of the phone is good. 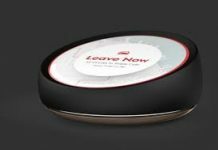 The mono speaker performs well too, although it can not be used to echo and round sound on low frequencies. There is no 3.5mm jack, so the adapter in the box will have to be used or a pair of Bluetooth headphones. In the camera department, there are two 13 mega pixel pixels with non-stabilized F / 1.9 optics, one black and white. The optics are coupled to the autofocus laser and a dual flash LED. On the front is a very special 8 mega pixel camera which interrupts the display as it is positioned at the center of the upper bezel less edge. The picture quality isn’t good and not comparable to the pictures taken from top of the range phones. When you take an image during day time. it might look good, but when you crop it you can spot the lack of detail. Both the cameras perform poorly in the evening and at night. It is very difficult to take a picture at night that is perfectly focused. The poor camera performance might be because of a poor picture software. There are no configuration options. The camera is slow and often gets blocked when you try to focus it. However, sometimes the camera surprises you sometimes and takes good pictures too. Basically, the hardware is good but works need to be done o software. The battery of the Essential Phone PH-1 is 3040 mAh and can last you all day without any problems. The optimization of the energy is good. This is one of the best features of the phone. The screen can be kept on for 5h15min on average but you can go beyond if the use is less intense. Basically, with moderate use the battery will last for 1 to 2 days. The software is Android 7.1.2 with patches that were updated in September. Unfortunately, the software doesn’t take advantage of the beautiful display. The apps are not optimized. Gestures, a note app, pre-installed base tools, and calendar, are all missing, along with a decent picture application. 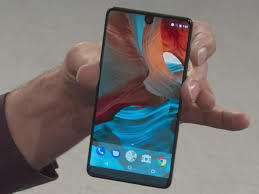 I mean OK, this is an Essential Phone, but atleast the software should have been fully functional and stable. Some times the phone slows down, applications crash, some apps don’t start properly, and there are issues with overlay apps. The phone also simultaneously reboots couple of times a day. Again, this is probably because of the software. 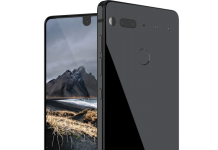 The Essential Phone PH-1 is available for $ 699 in America. It is a phone may waited for but it didn’t really meet the expectations. The good hardware and design has been wasted because of software flaws. They need to be fixed and debugged. The camera also needs a lot of work. Let’s hope the creator of the phones will work on the phone. Previous articleIs Apple Face ID More Suitable For MacBook And iMac Then iPhone?